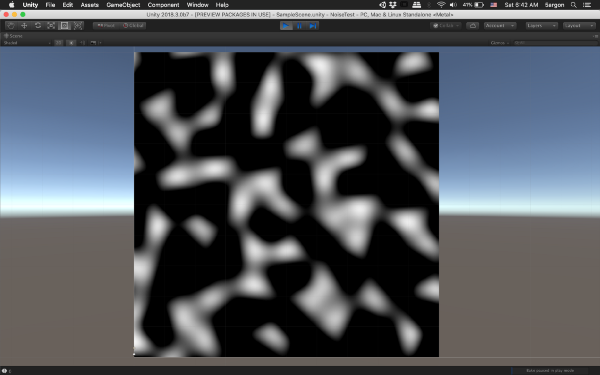 cnoise is a classic perlin noise. 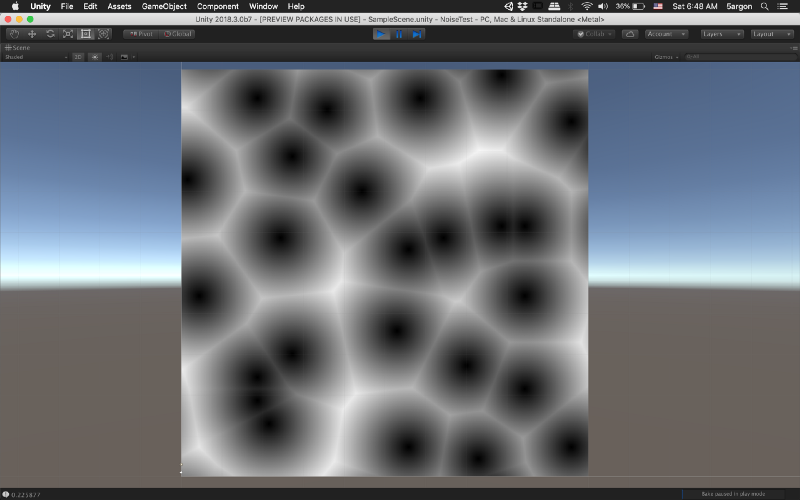 It works by assigning random gradients on a grid and set that exact point as a middle value like 0.5. These points are called lattice points. 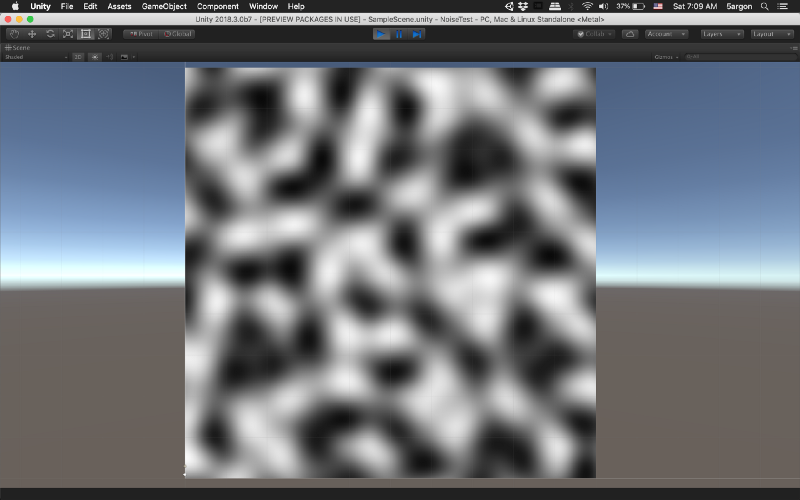 This image is a 500x500 texture from 0.0f ~ 5.0f input to cnoise . 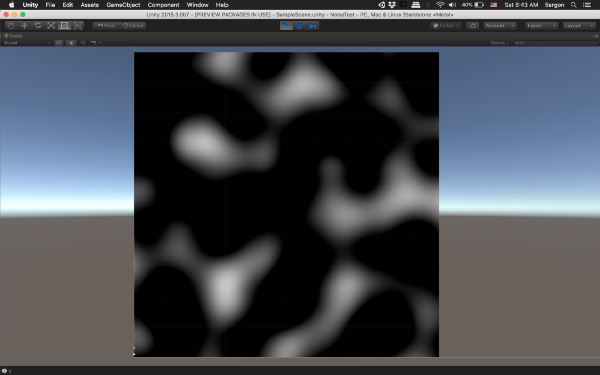 For example at pixel 150x200 it would be an input new float2(1.5f, 2.0f) to the noise function. I tried checking on the integer coordinate and the result is always 0. 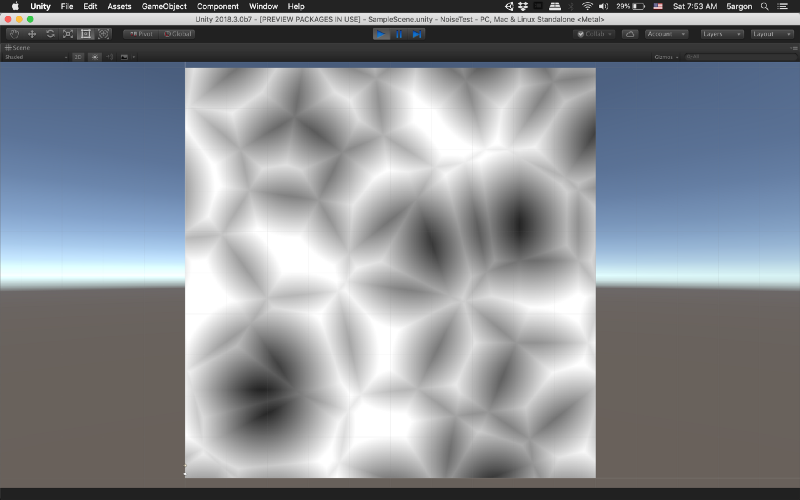 That means Unity used each integer as a lattice point + middle value is 0 instead of 0.5. Meaning that output would be -1.0 ~ 1.0 and not 0.0 ~ 1.0. So, I used math.unlerp(-1,1, value) to map back to 0~1 to be able to paint it black to white. 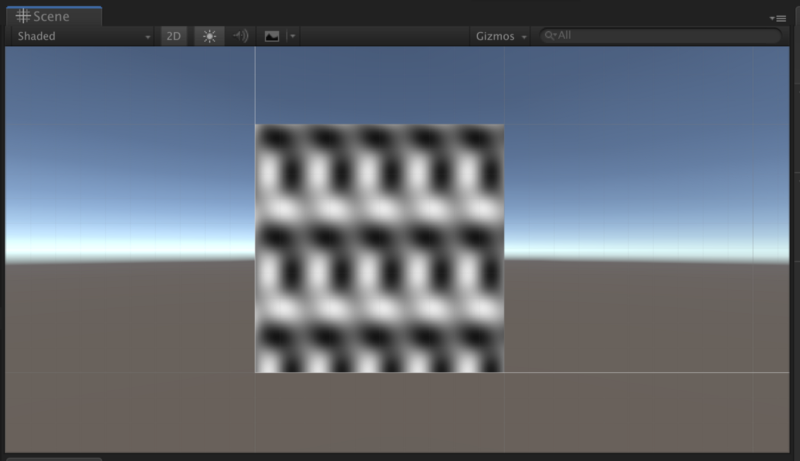 Look closely you can see Unity editor’s grid. This is exactly 10x10 grid and we have 0.0 ~ 5.0f mapped, at the grid points like (0,0) (0,2) (0,4) (0,6) (1,6) (5,0) the color is exactly middle grey. Also look at 4 corners, it is obviously 0.5 grey. Stands for simplex noise, which improves on the original perlin noise by using a different space filling grid that is not a simple square. 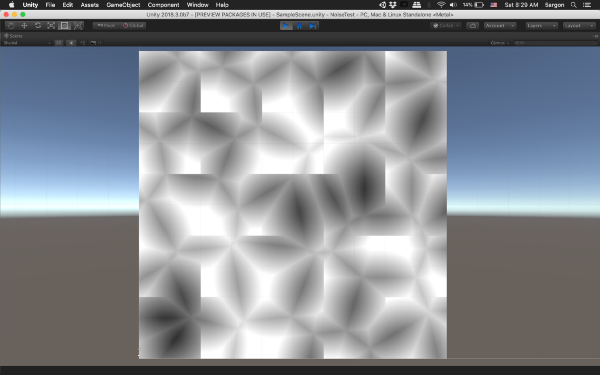 (A squashed rhombus or something) Also better performance-wise because it optimized the function that average the gradients but I think Unity’s version of cnoise should have already integrated those optimizations? This time the return value is a float2 but not really x in y in cartesian coordinate sense. The x is called F1, a distance to the nearest (1) “nucleus” (feature point). Being based on “nearest” meaning that at some point where you vary your coordinate smoothly it would abruptly switch over to the other nucleus giving a segmented impression. The image had the returned value directly mapped to black — white and it looked quite ok, so I assume this time x is in the range of 0~1 ? The original paper states that we could make a unit cube sized at integer position then use Poisson distribution where we could control the mean density, to see how many points that should be in this cube. 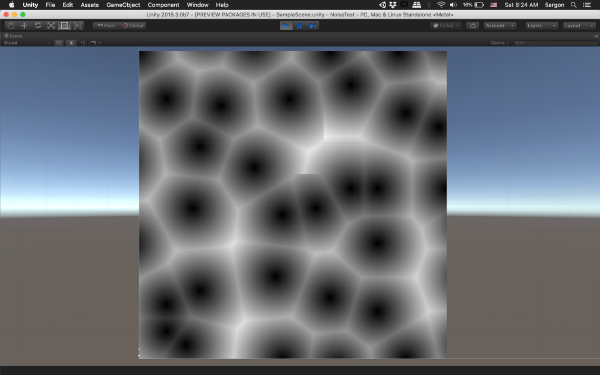 (with some clamping, etc) Then for 2D cellular we slice a 2D plane out of the cube. 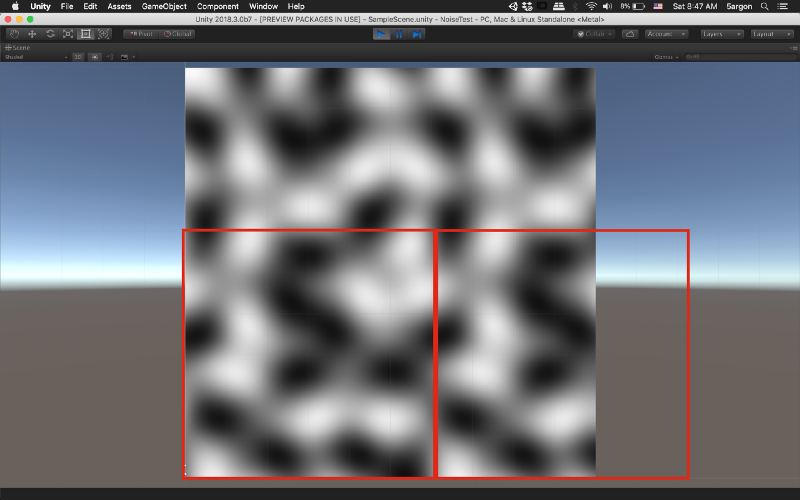 Which looks like, we get a fixed 1 feature point per integer grid (not cube). See these box I sampled. 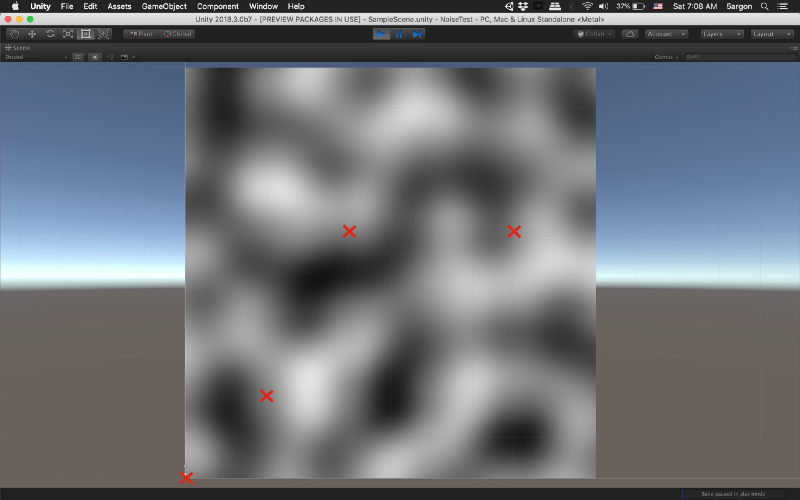 Exactly 1 feature point is in there. F2 simply means instead of the nearest we go for the distance to the 2nd nearest instead. It is stored in y. Visually this is always brighter than the previous F because obviously it is further away. Artistically it looked quite like ice crystals. Also, we no longer see obviously where is the feature point which is a part that make it looks cool. By definition we could go for F3, F4, … but Unity only returns 2 level of result. And the paper states that we can compute every F at the same time with no additional cost. Speed up version with a shortcut in searching for the nearest feature point. Instead of 3x3 search we use a smaller 2x2 area. It makes F2 useless (because it is not large enough to find the 2nd nearest which could be 2 integer grids away?) and F1 less ideal. You can see some seams on the F1 ! 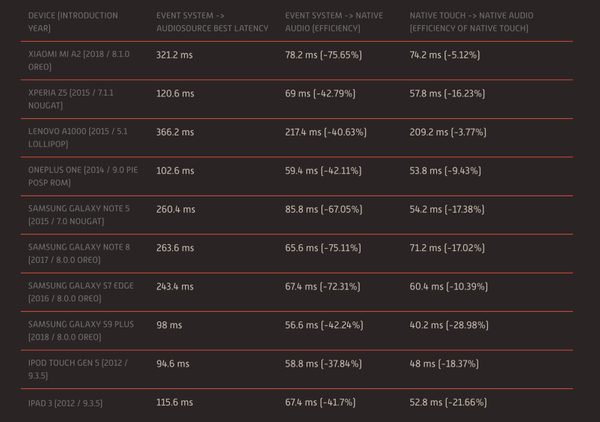 From the look of F2, it means if you are only going to input 0.0~1.0 F2 is kinda usable. cellular3D takes 3D input and its faster version is cellular2x2x2 . d = Returns a derivative too. The return value is now float3 instead of float , which I guess the y and z is the 2D partial derivative (that is a gradient). Meaning that if you grab the y and z and make it a new float2(y,z) then that is a unit vector describing a slope at that point. Could be useful to know not just the value but also the direction where it is going?